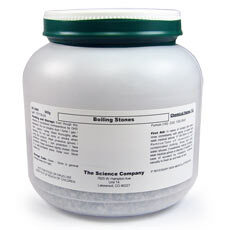 Pumice Boiling Stones, 4-6 mesh, 500g for sale. Buy from The Science Company. 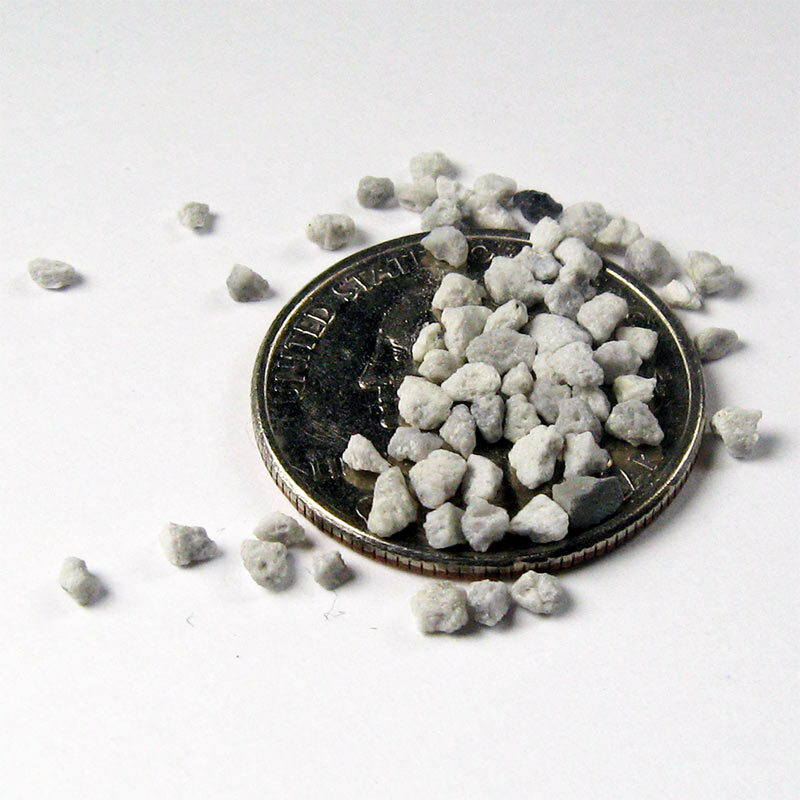 Our boiling stones, or boiling chips, or anti-bumping granules are tiny, unevenly shaped pieces of pumice sized between four and six mesh. 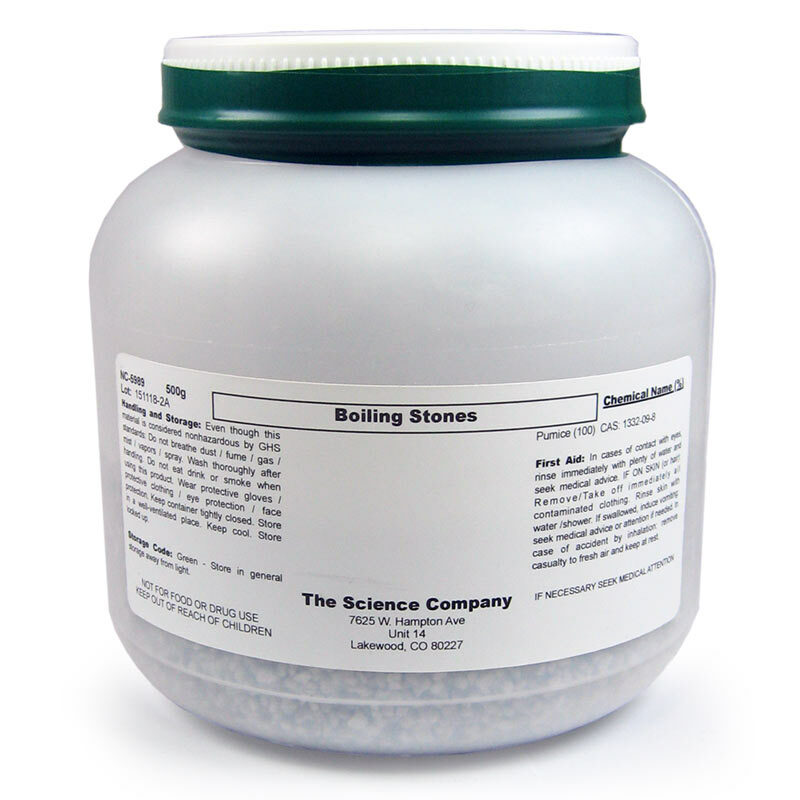 Boiling stones are excellent for promoting even boiling in the distillation process because they provide an irregular surface where vapor bubbles can easily form. These bubbles prevent bumping and boiling over. Always use boiling stones when heating a solvent. 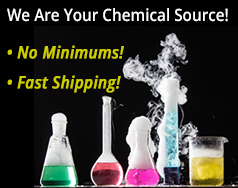 Never add them to a solvent which is already hot, because it can cause it to boil over violently. Boiling stones cannot be re-used since the pores inside these stones become filled with liquid on cooling.